It is finally here! It took me a while to get around to it but I managed to find the will to post this recipe. 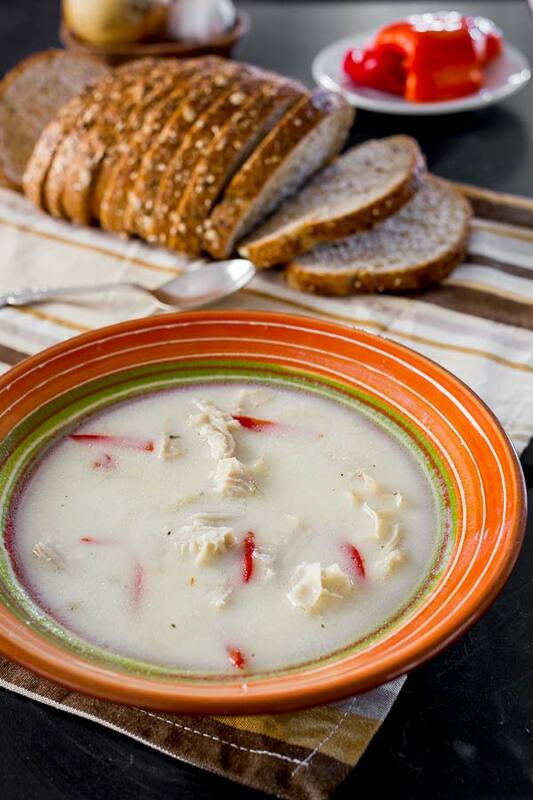 Don’t get me wrong, I made this soup several times over the past couple of years, but those huge cravings always got the best of me and never got the chance of taking some decent pictures. 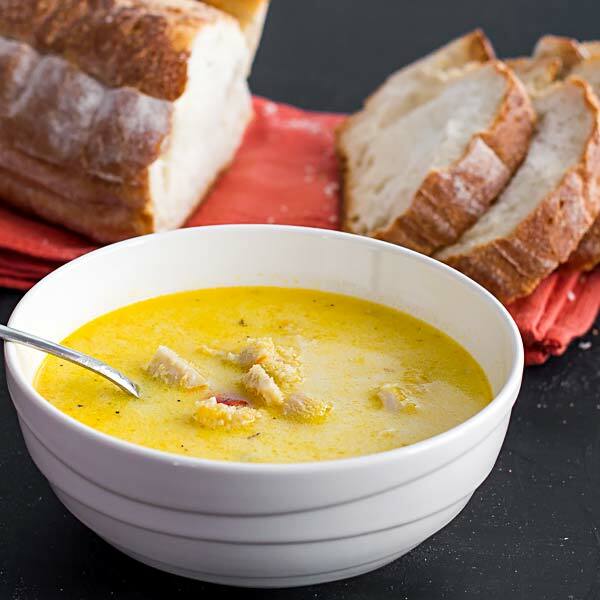 I am a big fan of tripe soup but it is not that popular in these parts, so unless you have friends of eastern European ancestry, don’t bother to mention the recipe or you will get a loud EWWWW! However, for “le connoisseur” this is a simple way of making tripe soup from the comfort of your home. Finding cow tripe is not that difficult either, in Canada is pretty much in every major store and I assume you can find it in U.S. with the same ease. Actually, I had more trouble finding cow bones to use them when boiling the tripe but I found some eventually. 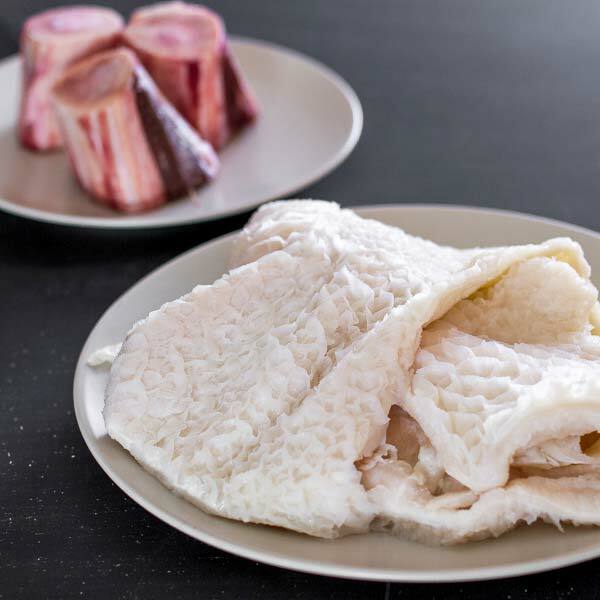 What is nice about it, is that your tripe will already be clean but if you buy it from a butcher or other source, you might have to put some extra effort into it. Anyway, I doubt anybody will get tripe directly from a farm or something similar so in short, this is what you find in the store and it is ready to be thrown into the soup pot. As far as the other ingredients go, nothing special here. I used carrots, celery root, parsnip, onions, the beef bones that you can see in my picture and that’s about it. The recipe also requires parsley root but good luck finding it, I couldn’t. There are other things worth mentioning, for example, every once in a while my garlic would turn blueish/green inside the soup. I found out that it has something to do with the acid, in this case the vinegar I was using, so you might not want to add it to your soup when boiling but make it into a sauce, mixing crushed garlic with a bit of vegetable oil and serve it on the side. Also if you wonder what is that red thing in my picture, it is easy, I added some pieces of picked red peppers (also in the image). Secondly, cow tripe is somewhat pungent and it doesn’t matter how much you wash it, the cow smell is hard to get rid of. The only successful solution I found, is to place the tripe in a pot with warm water and a bit of lemon juice or vinegar for at least two hours before cooking. Lastly, some people make the soup yellow, accomplished by mixing sauteed carrots during the final minutes of boiling though I always enjoyed mine white but it is your call, check out both my pictures and decide for yourself. If I missed anything or if you guys have a question about this recipe, please let me know. Until then, enjoy! Wash the tripe really well and place it into a pot with warm water and a bit of lemon juice or vinegar for about two hours. 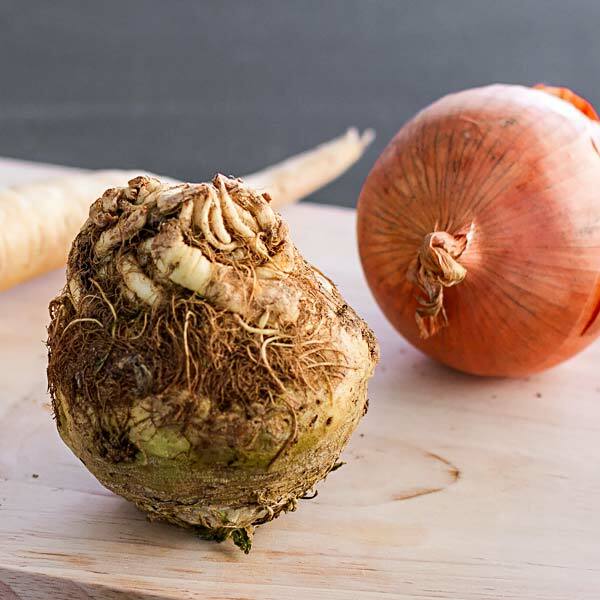 In a big pot add the tripe, cow bones, carrots, celery root, onion, parsnip and boil for 2 to 3 hours. You could also add one to two tablespoons of Vegeta if you want. Do not chop the vegetables, leave them whole, so we can easily strain them. Take out the tripe and the bone and strain the rest of the vegetables (remove the bay leaves too), leaving the broth nice and clear. Cut the tripe into really small pieces, about 1 cm wide by 2 cm long or the way you like them. Add it back to the broth. (optional) Shred the boiled carrots and in a small pan add a tbsp olive and saute the carrots for 2 to 3 minutes. In a small bowl mix the sour cream and the eggs together really well; add a bit of soup, a tablespoon at a time and keep mixing, then add the whole mix to the soup pot. This is done so the egg doesn't curdle. Add sauteed carrots, the minced garlic (or make it a sauce) and the vinegar to the soup as well. Add salt and pepper to taste and let it come to a boil again. Garnish with parsley and serve hot. Serve with additional sour cream or vinegar if preferred. Also hot chili peppers are mandatory. Eu nu sunt mare fana a acestei ciorbe dar cunosc foarte multi oameni care sunt innebuniti dupa ea.